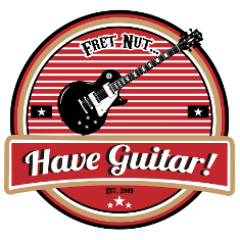 spring reverb Archives - Fret nut... Have Guitar! Yup, that’s right if anyone missed the news… that isn’t that new really. But here’s me trying out the new Spring Reverb effect in the Kemper, based on the Fender Reverb Tank from 1963. And I must say it sounds great! Another interesting thing is that you can place this reverb anywhere in the FX chain; put it infront of the amp for a gritty, distorted sound or place it behind the amp for a clean stereo reverb. And if you read this far – don’t miss out on the Mattfig Giveaway, I have three packs of Mattfig’s Trust Pack (four different packs of Kemper profiles) to giveaway. Today (28/6-2018) is the last day to join so if you wanna get a chance to win some free commercial profiles check out the link to that video below. Alright, don’t forget to subscribe and like the video if you liked it! If you didn’t like it please send a letter to president Trump and let him know about it. To each and everyone of you who are subscribing – Thank You!